There are many benefits of individual counseling for someone seeking treatment for substance addiction and alcohol abuse. Whether in an outpatient treatment program or a residential rehab program, statistics show that individual counseling, defined as one-on-one conversations with a trained therapist, is a vital part of rehabilitation in conjunction with other methods of treatment used to combat substance addiction. Substance abuse treatment consists of different parts and methods. Detoxification and medication treatment are used to address the physical elements of substance dependence. But detox is only the start of a long battle against relapse. 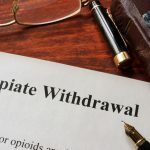 Even after physical dependence has settled, addicts are at high risk for relapse. Social and psychological factors such as cues in surroundings, stress, and being around friends who continue to use, can trigger renewed usage. When counseling is used in combination with detox, it is more likely that people stay sober and clean. Counseling helps patients learn to cope with life without using substances. It addresses the psychological and mental elements of substance dependence. With it, therapists try to locate the root of the substance and alcohol abuse. When causes contributing to substance abuse are identified, the therapist and patient can explore them together. This exploration can result in higher self-awareness, which helps defend against relapse. The National Institute on Drug Abuse states that addiction is a complex illness. The terms comorbidity or dual diagnosis describe two or more disorders occurring in the same person. They can occur simultaneously or one after another. Comorbidity also means that interactions between illnesses can aggravate the unfolding of both. Many people who are addicted to substances are also diagnosed with other mental illnesses and vice versa. In comparison to the general populace, addicts are approximately twice as likely to suffer from anxiety and mood disorders, with the reverse also being true. Individual therapy is essential in cases of dual diagnosis. In counseling, the therapist and patient can address specifics impacting the patient’s illness and substance addiction and work together towards creating an effective plan for treatment. Studies show that when mental illness and substance abuse are treated concurrently, psychotic episodes and suicide attempts decrease. In general, a therapist provides a patient with a non-judgmental, objective viewpoint. Individual therapy treatment incorporates current psychological findings and research. The therapist’s theoretical orientation will also influence their approach. Many therapists customize treatment plans to suit a patient’s specific needs by blending aspects from different modalities. Treatments will be individualized, as there is no “one size fits all” angle. Acceptance – Denial is very common. A therapist will work on helping the recovering substance abuser to admit that they suffer from addiction. Motivation – Encouraging abstinence through positive psychology techniques, like reminding the substance abuser of their progress and improvement. Cravings management – Provide guiding strategies to make better and healthier decisions at critical trigger moments. Commitment – Cultivating a lifelong recovery plan, such as joining a recovery group and continued therapy. When searching for a potential therapeutic counselor, it is a good idea to screen or interview them beforehand. It is important that the relationship is a good fit for both the patient and therapist in order for therapy to be effective. There needs to be an authentic therapeutic alliance between patient and therapist. How is the rapport with the therapist? Is there enough comfort to be vulnerable, honest, and feel safe at the same time? Does the therapist specialize in addiction counseling? What is their experience in that field? What is the therapist’s theoretical orientation and what modalities do they incorporate? What are the therapist’s credentials and level of education? Also, keep in mind that in order for there to be any positive change, the patient must be a willing and active participant. Therapy requires dedication to a collaborative process to change detrimental patterns of behavior. Most rehabilitation professionals look at addiction as a chronic, relapsing illness. Similar to other chronic illnesses such as high blood pressure and diabetes, addiction treatment in some form must be lifelong. Individual therapy should be part of the arsenal of continuing treatment plans. A therapeutic relationship with a trusted, trained therapist can play a fundamental part in a person’s recovery journey.